A good vegetable plant support will prevent many diseases, and will allow larger and more marketable fruits, while reducing the need and use for agrochemicals. 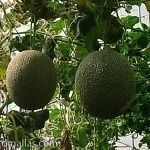 As the plant will not need any manual tutoring or training as with raffia, and can be left to grow alone on the net, it will not be subject to mechanical stress and therefore the plant can keep on feeding its fruits rather than diverting energies to re-accommodate its foliage! 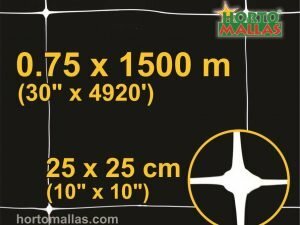 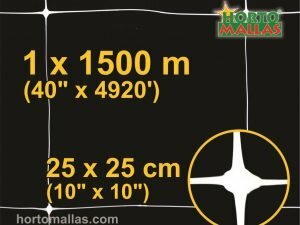 HORTOMALLAS melon net, with a capacity to bear more than 60 kilos of dead weight per linear meter, this trellis netting is ideal for heavy cucurbits like melons, squash and even watermelon. 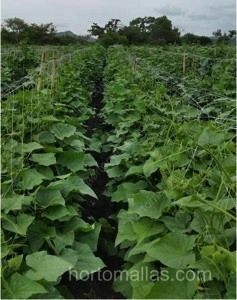 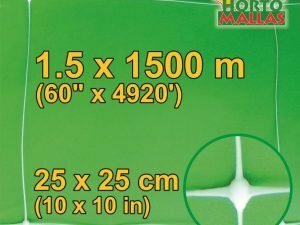 Melon support netting by HORTOMALLAS is the ideal form to train heavy vegetables and fruits, like squash, melons and even watermelons. 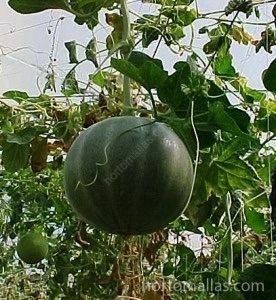 Training melons vertically will save space and increase plant density per hectare, while at the same time improving the fruits quality as the plant will not be subjected to so many pathogenic attacks from humidity borne diseases since a vertical plant will receive better aeration and solar exposure. With HORTOMALLAS melon support net, pollination will improve as the flowers will be more exposed to agents and the plant itself will be protected from accidental abrasion and stepping of its leaves and branches, as any open wound in the plant becomes the entry point for fitopathogens. 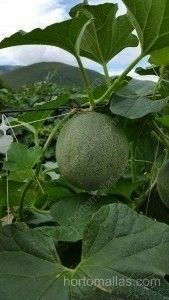 Here is a link to a study on melon support net and how it increases yields by at least 30%.